A beauty essential to have one for your handbag, your briefcase, your vanity or desk drawer. 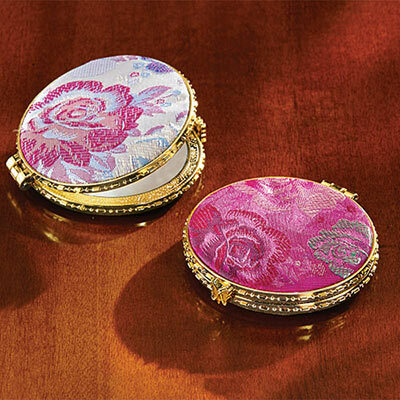 Hinged compact in damask polyester with double mirrors, gold-tone plastic rim and butterfly clasp. Imported. 3" dia.